My Picture GalleryThis is a collection of pictures revolving around me as an author. More often than not, it usually involves not just me, but also someone I have met at an event. I'll add pictures and descriptions as I collect more pictures. 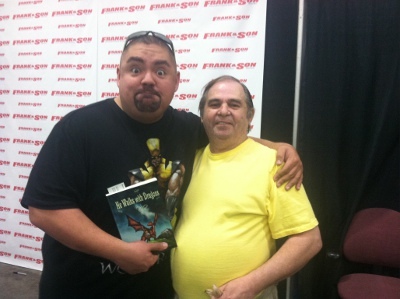 This is Gabriel Iglesias and I at his signing and photo-op event at Frank & Son Collectible Show in City of Industry, CA. on March 12, 2014. 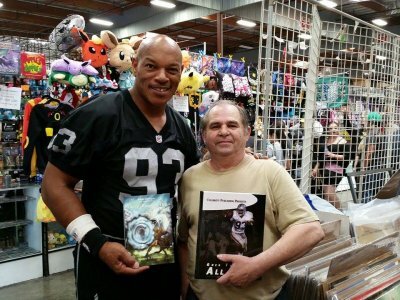 Here I am with Dave Shelton at the First Annual Mystic Dragon Book Festival at Frank & Son Collectible Show in City of Industry, CA. on August 15, 2015. 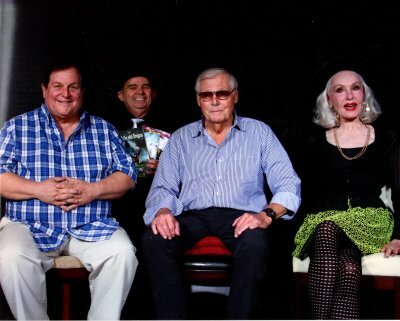 Here I am in a photo-op with Adam West, Burt Ward, and Julie Newmar from the Batman TV series from 1966-1968. They were my childhood heroes. And while Catwoman was actually one of the villains, she was my favorite villain. This picture was taken at Frank & Son Collectible Show on April 30, 2016. 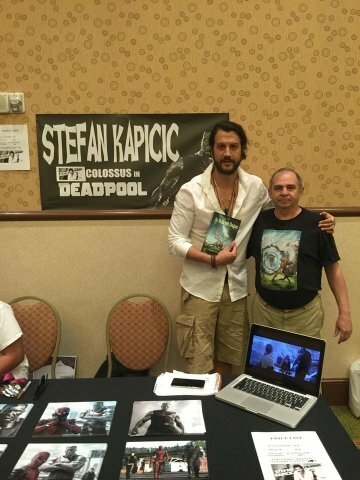 Stefan Kapicic, who played Colossus in Deadpool, took time at Mad Monster Arizona 2016 to take this photo-op with me. 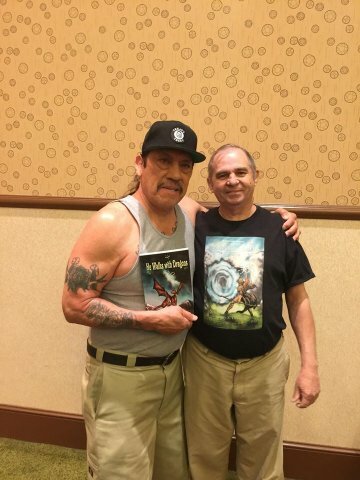 Danny "Machete" Trejo was kind enough to take this picture with me at Mad Monster Arizona 2016. 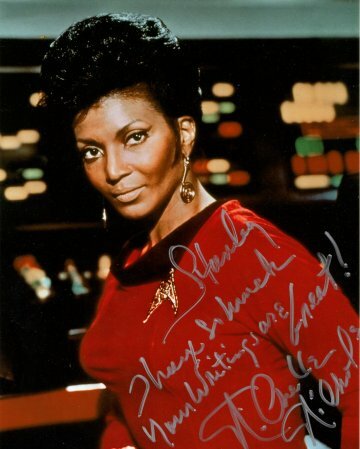 I met Nichelle Nichols at Mad Monster Arizona in May 2016. 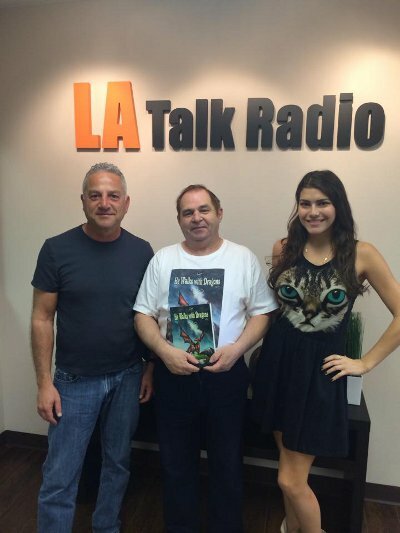 She has copies of my dragon series. At Nuke the Fridge in November, I met her again and she gave me this autograph. 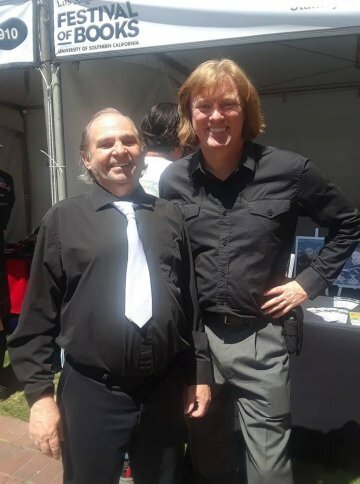 I ran into Jack Nolan at L.A. Festival of Books. 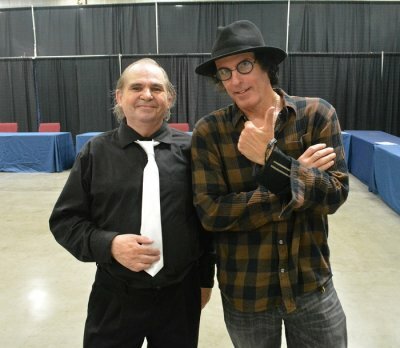 Some of you will remember him from Star Trek Deep Space Nine and Star Trek Voyager. Or perhaps some of his other movies. 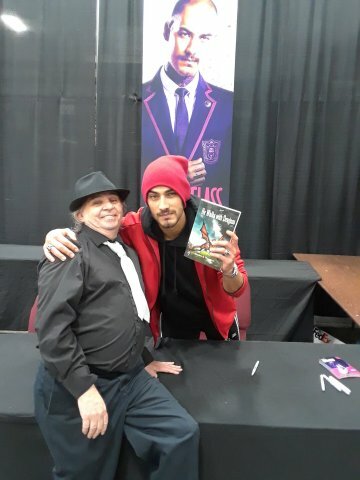 I was at Walmart and guess who I happened to meet? 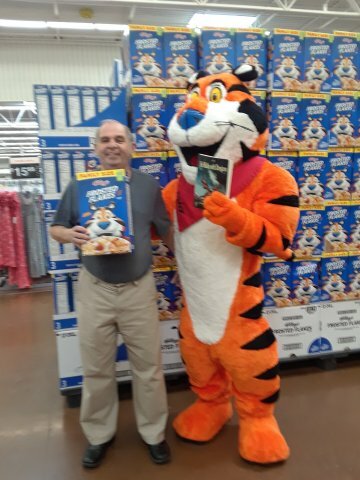 That's right, Tony the Tiger himself.